The page dedicated to the cheats of League of Evil (PC / PS4 / SWITCH / PSVITA). You will find cheating codes, secrets, strategies and much more. We are pleased to show you the videogame material we have collected for League of Evil! Discover Cheats, Cheat Codes and Tricks for League of Evil (PC / PS4 / SWITCH / PSVITA): Game Achievements Guide. All information on the cheats contained in this article is valid for League of Evil from 25/09/2016, for consoles PC / PS4 / SWITCH / PSVITA .The list is updated every time the game is published for a new one console. We also have the solution of League of Evil! In our page dedicated to the solution of League of Evil you will find a video guide that will show you all the steps to complete the game. 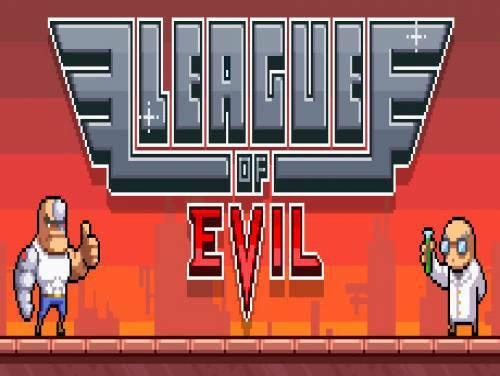 League of Evil is an action game in which you, as an agent, bionic, embark on a mission to defeat the League of Evil. Use your acrobatic skills to overcome levels full of traps and defeat your enemies. Defeat the League of Evil completing all challenges!